The Maine Bankers Association recognizes that empowering our young people to understand financial transactions is vital to ensuring their future success. 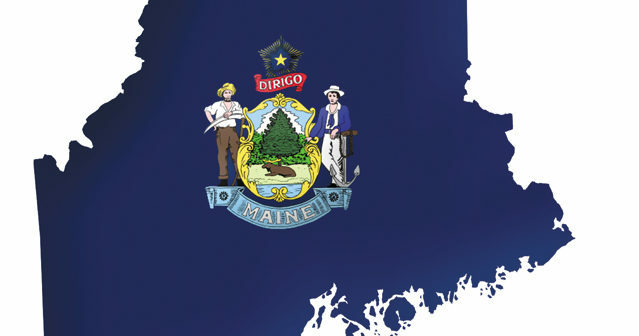 As a rural state, Maine’s geography presents numerous challenges to delivering a statewide financial literacy message to our schools, but with the help of a marketing committee made up of member bankers, MBA has successfully grown several programs that deliver the message of financial literacy across our state. Banks have partnered with local schools for decades to provide financial literacy training to Maine’s children and young adults. Junior Achievement (a volunteer organization that teaches students in grades K-12 skills including financial literacy and entrepreneurship) has always been an important element in that training. Recently, JA came to Maine Bankers asking for our help to recruit more volunteers, as the demand for in-classroom instruction had grown beyond their current capacity. Working with a local television station, we taped 30-second spots of bankers talking about their involvement with JA and how Maine bank employees live and work in the communities they serve. LifeSmarts, the ultimate consumer challenge, is an educational opportunity for students in grades 6-12. This competition prepares students to enter the real world as smart adult consumers. Participants focus on five key topic areas: consumer rights and responsibilities, the environment, health and safety, personal finance and technology. Local school districts compete online for several months to earn a spot at the state level. Four teams are selected to participate in the state tournament, and the winner of that tournament qualifies to go on to the national championship. The MBA provides the funding for the state champions to attend the national championship. MBA has a seat on the board of Jump$tart Maine, a coalition of diverse financial education stakeholders who work together to educate and prepare our nation’s youth for life-long financial success. Each spring, Jump$tart Maine holds a teachers conference to bring together financial institution volunteers and classroom teachers from across Maine. This conference highlights financial literacy resources for the classrooms and offers curriculum options as well as resources from local banks. During the conference, member banks provide gifts and handouts and sign up for available in-classroom speaking opportunities. Each year during November and December, the Maine Bankers Association and our members host Meet Your Legislator Coffees around the state. At most of these events, we award $1,000 Higher Education Assistance Foundation scholarships to students at one or more of 16 Maine colleges and universities who are majoring in business or finance. All student recipients are selected by faculty members, and we regularly have students, faculty, administrators and family members join us at the event. These scholarship presentations allow the industry the opportunity to describe career options in banking. Bankers provide their business cards to the students and encourage them to reach out in the future for job opportunities. The schools are now acutely aware of the banking industry as a viable career path for their graduates. Since 1990, we have awarded $341,000 in scholarships and, not surprisingly, we have identified several current bank employees who were past recipients of our HEAF scholarships. Their examples demonstrate that encouraging our undergraduate students to explore banking jobs will allow them to have a professional career in Maine. Both Maine and our industry benefit from a well-educated workforce, and all financial literacy efforts help to achieve that goal. Maine has an aging population, and we need to recruit younger workers to live and work in the state. Our financial literacy efforts will help students obtain their career goals in Maine. Christopher Pinkham is president and CEO of the Maine Bankers Association.